They could be anywhere, at any time, waiting... watching... Learn how to spot them and save yourself time and money, maybe. 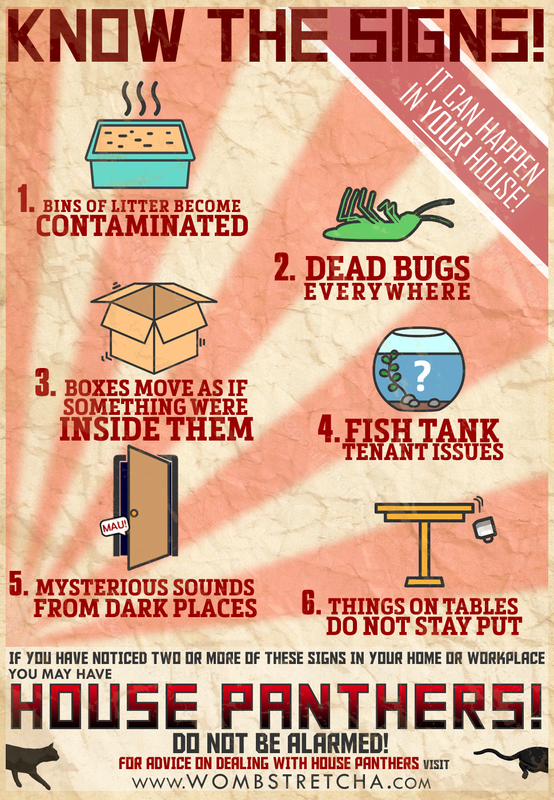 If you were referred here from this graphic on social media or something, I'm sorry, but I don't have any advice on what to do if you have house panthers. Not yet anyhow.